It was Elvis' song "Baby Let's Play House" that hooked Jimmy Page to rock & roll music and inspired him to learn to play the guitar. At the age of 13 Jimmy fell in love with the song and decided he wanted to start his own musical journey and taught himself to play. Page would play Elvis' song many times on his first guitar. Because Elvis Presley first inspired him, he is one of the most important musical influences on Jimmy Page. While Elvis was Page's first inspiration, Renbourn played a big role in molding the Led Zeppelin sound. As a young man, Jimmy Page enjoyed John Renbourn's acoustic folk music. This taste for folk gave another flavor to Page's guitar style. One can hear a lot of folk influence in the Led Zeppelin sound. This influence came heavily from John Renbourn. While at first listen one may not expect to see B.B. King on a list of Jimmy Page's influences he is. 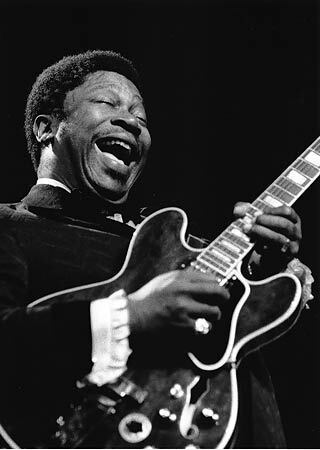 King was one of Page's favorite artists as a young man and he loved the blues. There is a lot of blues in Page's music that came from the influence B.B. King had on Jimmy Page. Jimmy Page's love of the blues that he got from listening to B.B. King adds yet another dimension to Led Zeppelin's sound. The Rolling Stones play an important role in the development of Jimmy Page as an artist. After he came down with glandular fever and had to quit his second band, Jimmy Page was not sure if he wanted to pursue music any further. 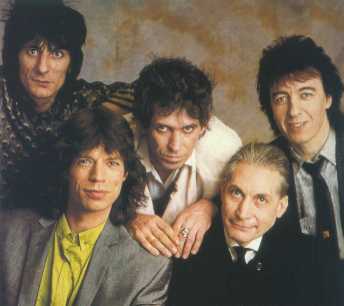 Then, bands like the Rolling Stones emerged with their gritty blues-rock and influenced Jimmy to come back to playing music. He enjoyed these new sounds and wanted to be a part of rock & roll and contribute. It was The Rolling Stones that got Jimmy Page interested in music for the second time. Harper is a big influence on Page's later career. Roy Harper was a folk musician that Jimmy respected very much. Roy Harper is a very important person when it comes to how the later years of Page's music sounds. Harper influenced Jimmy to go more towards the acoustic guitar and more folk sounding music as he got older. Roy Harper was a huge influence on Jimmy Page's sound later on in his career.